So I have one more summer-like recipe to post (next week will be a fall recipe- I promise!) that is kinda a continuation of last week’s pesto recipe. Hey- you gotta use the basil while it’s still fresh. My mom and I devoured this for dinner one night, tossing aside the dippers and simply digging in with forks. 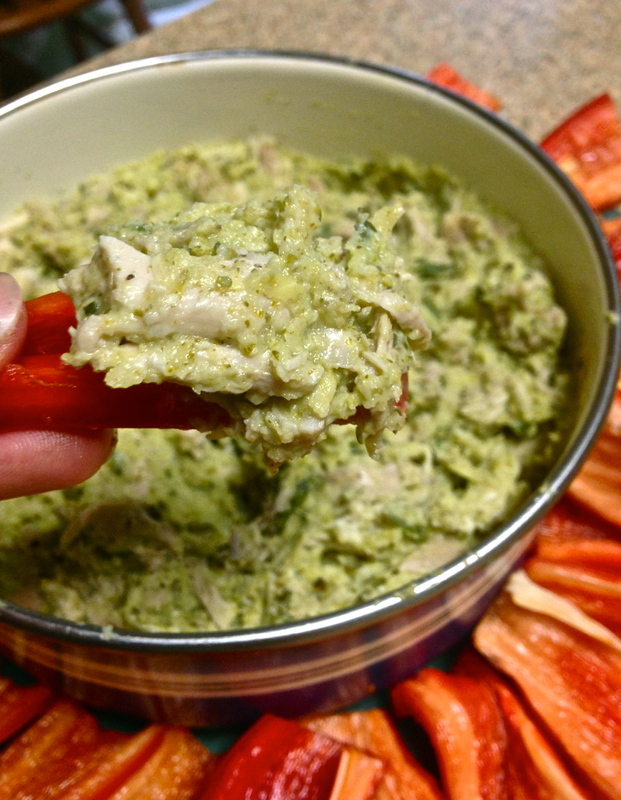 With the broccoli, chicken, and artichokes, it easily makes a filling dip as well as dinner! In a food processor, combine artichokes and pesto until smooth. Transfer to a bowl and stir in chicken. Serve!